Michigan’s U.S. 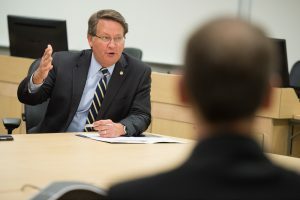 Senator Gary Peters convened a Senate Commerce Committee field hearing on the safety of the Line 5 pipeline in Traverse City on Tuesday, August 20th. He invited federal officials and transportation industry representatives, including Enbridge officials, to the gathering at Northwestern Michigan College. The public was also invited. A standing-room only crowd of 400 people packed the auditorium. Senator Peters focused many of his questions during the more than two-hour hearing on the emergency response to the April 1st anchor dragging incident that broke open electrical transmission cables spilling 600 gallons of toxic chemicals in dielectric fluid into the Straits of Mackinac and also denting the Line 5 pipeline in three places. He said the response time to this recent anchor strike wasn’t fast enough, and if millions of gallons of oil had been spilled, the Great Lakes would have suffered irreparable damage. 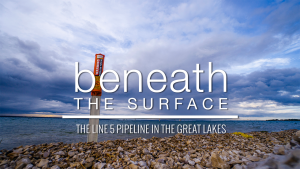 The pipeline carries 23 million gallons of oil and natural gas each day from Superior, Wisconsin to Sarnia, Ontario and crosses a 4.5 mile stretch along the lake bed between Michigan’s Upper and Lower Peninsula. It’s situated in a high-current area where Lake Huron and Lake Michigan meet next to the Mackinac Bridge. The Line 5 pipeline was built in 1953. 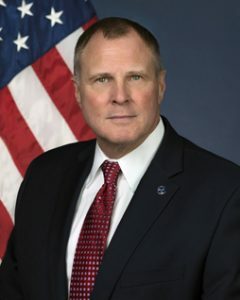 Administrator of the Pipeline Safety and Hazardous Materials Agency (PHMSA) Howard Elliott said his agency is looking in to improving oil response in the Straits, but said the federal agency depends on pipeline operators like Enbridge to share test results with state and federal agencies to help decide when a pipeline should be shut down. His statement, which implied that the agency relies on Enbridge to decide when to stop oil flowing thru the pipeline, prompted jeers and boos from the crowd. Senator Peters said improvements in emergency response need to be made immediately, and places that are more environmentally sensitive like the Straits of Mackinac should have special safety and emergency preparedness plans that are stronger than regulations along the rest of the pipeline. Senator Peters said, “You will not find a more sensitive area anywhere in the United States.” He also said right now, there is a “significant deficiency of trust” In Enbridge. But it was Enbridge that got the wealth of reaction from the audience. 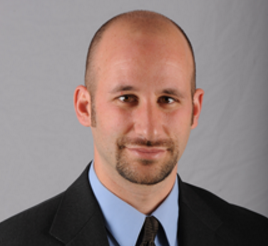 People made hissing noises when Senior Vice President of Operations for Enbridge, David Bryson, praised the benefits of Line 5, saying it is a critical route for energy markets in Michigan and Canada. He said the company has invested $7 million dollars in improvements to its emergency response equipment. Senator Peters questioned why he – a U.S. Senator – had to make repeated phone calls to federal and state authorities to get Line 5 shut down after the anchor strike which occurred in the middle of a severe winter storm. He said Enbridge officials clearly did not want to shut down the pipeline after the anchor dragging incident, and had to be urged to do so by federal and state officials. He said there should have been a regulated, automatic shutdown of the pipeline the minute it became clear there had been an anchor strike. But Enbridge’s Bryson argued that pipeline pressure testing showed Line 5 was safe after the anchor dragging incident. 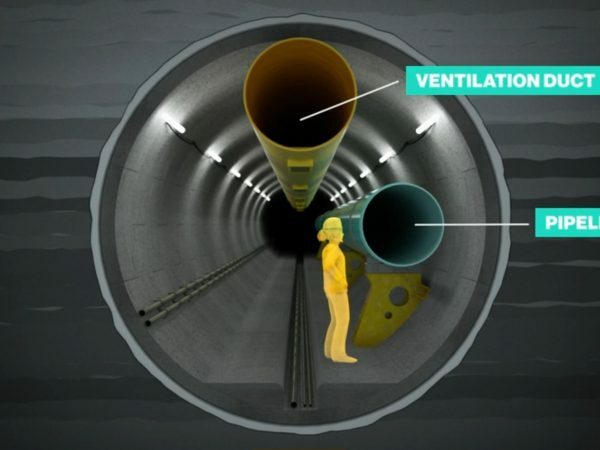 Senator Peters also insisted that Enbridge publicly release video footage of the condition of Line 5 after the April anchor strike. Enbridge’s Bryson agreed to release that video. Executive Director of The National Wildlife Federation’s Great Lakes Regional Center, Mike Shriberg, who also attended the hearing in Traverse City, urged state officials to move toward finding an alternative to Line 5. He cited recent research showing the Enbridge pipeline could be replaced by trucking and rail service, and said customers would hardly notice a change in price or availability. Senator Peters is working on legislation that would classify the Line 5 pipeline as an on-shore pipeline instead of an off-shore pipeline, which would increase liability costs on pipeline operators. He’s a member of the Senate Commerce, Science and Transportation Committee and is the ranking Democrat on its Subcommittee om Surface Transportation and Merchant Marine Infrastructure, Safety and Security. You can watch the entire hearing below. In the period after we filed this story, Enbridge has provided Great Lakes Now with an additional statement on the companies position on the Senate committee hearing in Traverse City. 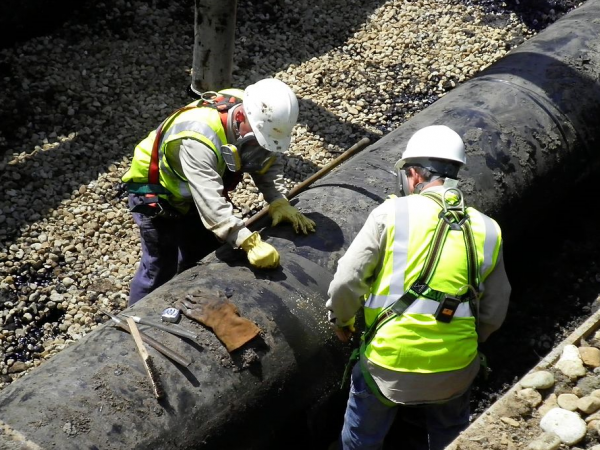 Pipeline safety and emergency response preparedness, as it relates to the Great Lakes is important for the people and businesses of Michigan, and is a critical priority for Enbridge. We welcome discussions about the best way to protect the Great Lakes while safely delivering much-needed energy on which Michigan families and businesses rely each day. Safety and the prevention of incidents are at the forefront of our pipeline operations, which include Line 5 in the Straits. Our safety measures include a 24-hour control center that monitors all of our lines and can initiate a shutdown in minutes; automatic shut-off valves that would contain a release; and well-trained, local personnel with emergency response equipment. 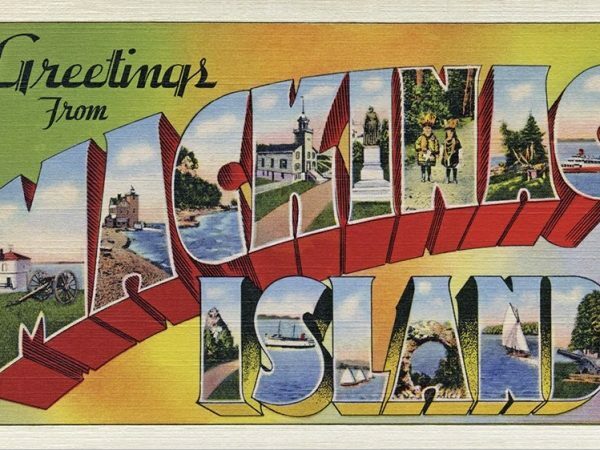 The Straits of Mackinac is a special place, vital to Michigan residents and the State’s economy, and we fully intend to do our part to keep it that way.